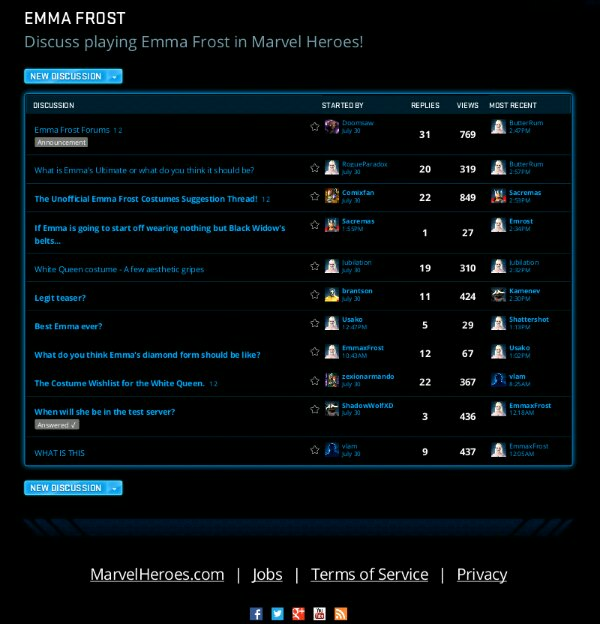 Marvel Heroes opened their Emma Frost forum for discussion, feedback and more. Doomsaw says Emma will be available after the Human Torch and is expected at the test center by the end of August. Thanks for the notification, Khino and Shattershot!